He knows how important it is to get your eight glasses a day! Love him! Chug! Chug! Chug! 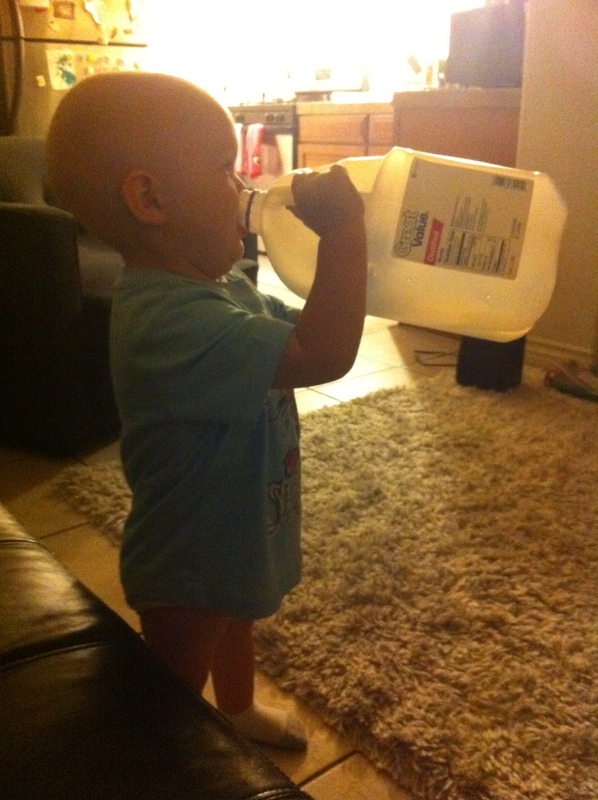 Chug! What’s next, a Sparklett’s bottle stand? hahahaha gage your so cute! look how chunky his legs are!!! oooh gage i could bite you! great pic…. it’s a guy thing! This is an awesome shot. I love it! No words needed for sure. Priceless.